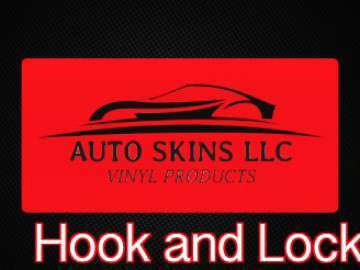 Auto skins new Hook and Lock allows the trunk, hood, or door to be propped away from nearby panels. The Hook and Lock's unique design allows for a positive lock on the body latch, keeping your panel from moving while you're wrapping. Positively locks into place using vehicles truck latch.